“Arctic Thunder” marked DARKTHRONE‘s first new studio material since 2013’s triumphant “The Underground Resistance”, its most successful release in recent years. 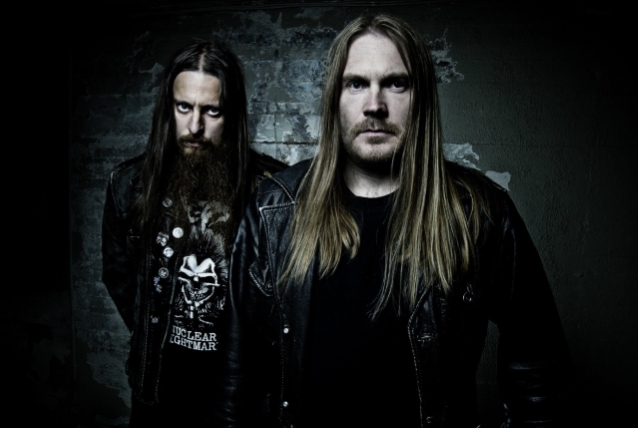 “Arctic Thunder” was recorded and produced by the bandmembers themselves, with the sessions conducted at DARKTHRONE‘s old rehearsal unit, The Bomb Shelter, which was originally used during 1988-1990. Mastering was once again handled by Jack Control at Enormous Door.